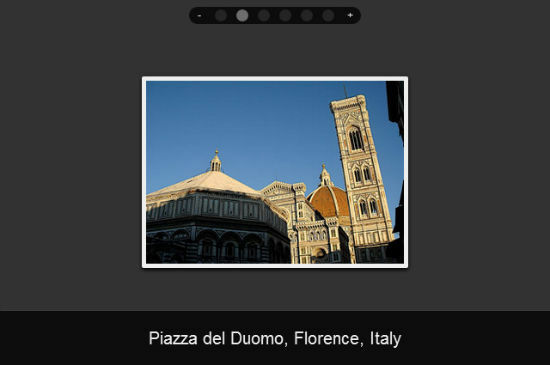 Using the array slides all pictures in the gallery get listed. Next we output the content via HTML. The function createElement() creates the corresponding HTML elements, necessary for the presentation of the pictures. The layout is controlled using CSS. If you’re the lazy kind you could just check out the sample source code on the SwipeView page. After establishing the HTML, the gallery is ready for prime time. Conclusion: SwipeView is nice to have. Main downside is the necessity to manually define this and that, even custom coding can’t be avoided. On the other hand this is what makes SwipeView extremely flexible. SwipeView runs on iPhones from version 4, on iPads from version 3.2 and on Android from 2.3 onwards. Needless to say that modern desktop browsers are supported anyway..